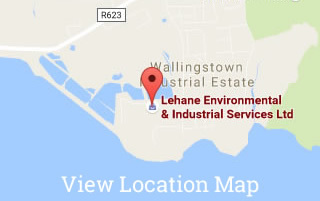 Lehane Environmental provides a nationwide drain integrity and maintenance service. We operate one of the most modern and high tech fleets of specialist drain maintenance equipment. 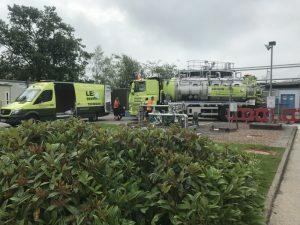 Our Trained Personnel are proficient in the use of High Pressure Jetting Units, CCTV Units and High powered suction units which we use for the rapid cleansing and clearing of all diameters of pipework. Don’t be fooled into paying low hourly rates for drain cleaning equipment where it may take 3 or 4 times as long to complete the work than normal. Lehane Environmental will advise you on the right size and type of equipment based on the task in hand to give you a cost effective solution. Not only are our Combination Units the highest spec available, they also come equipped with high tech ancillary equipment such as high efficiency jetting nozzles, floor cleaners etc. These nozzles may cost as much as five to seven thousand euro – substantially more than a one hundred euro nozzle – but as they say you pay for what you get – and what you get is the job completed to a higher standard in a shorter time – thus Lower Cost! Lehane Environmental also provide Chemical Cleaning of pipework.